Weekly live Webinar every Tuesday evening. Dale reviews the week's action and suggests potential setups forming. The content and information provided by OH is for your personal, internal use only. You may not syndicate, license, redistribute any information from the Service to any third party, whether as a stand-alone product or in conjunction with other data or information for any purpose without the prior consent of OH. You acknowledge that all proprietary rights in the information from the Service shall remain the sole and exclusive property of either OH or any third party from which information is provided by and disseminated from the Service. You may not download electronic copies of our content for any purpose other than those permitted by law. Further, you shall not engage in any systematic downloading or other activity directed towards any of the content, in whole or in part, found on the Service that would create an electronic database or archive containing such content. You may seek information on permission for systematic access (data feeds or API interface) may email requests to [email protected] You may not violate or attempt to violate the security of the Service by, without limitation; (a) accessing data not intended for you or logging into a server or account with you are not authorized to access, (b) attempting to probe, scan or test the vulnerability of a system or network or to breach security or authentication measures without proper authorization, (c) attempting to interfere with service to any user, host or network, including, without limitation, via means of submitting a virus to the Service, overloading, conducting “denial of service attacks”, “flooding”, “spamming”, “mail bombing” or “crashing”, (d) sending unsolicited e-mail, including promotions and/or advertising of products or services, (e) forging any TCP/IP packet header or any part of the header information in any e-mail or newsgroup posting, or (f) attempting to decipher, decompile, disassemble or reverse engineer any of the software comprising or in any way making up a part of the Service. Violations of system or network security may result in civil or criminal liability. IT will investigate potential violations and will, where applicable, vigorously prosecute individuals to the fullest extent of the law. 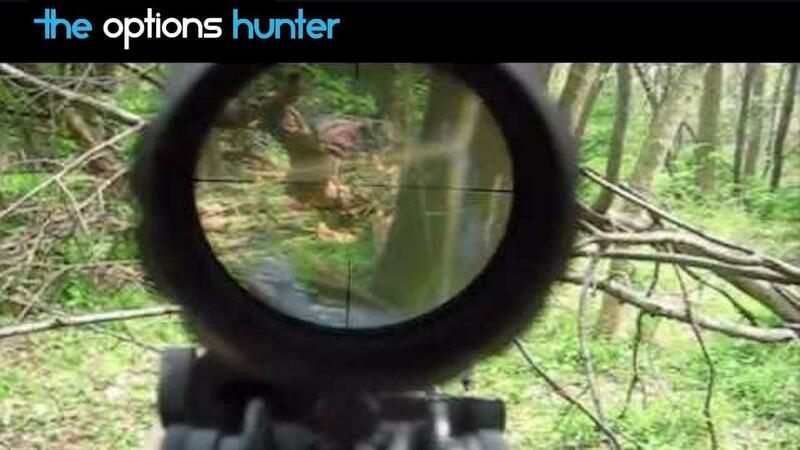 THE OPTIONS HUNTER IS OPERATED BY AIQ SYSTEMS, DIV. TRACK DATA CORP.